Two new iPhone 6s ads are zooming in on super high-def video and the power of your fingerprint. While one is fairly straightforward and informative, the other is kind of … out there. We’re not entirely sure what to do with it, really. The entire Cult of Mac staff just watched it and had no words. 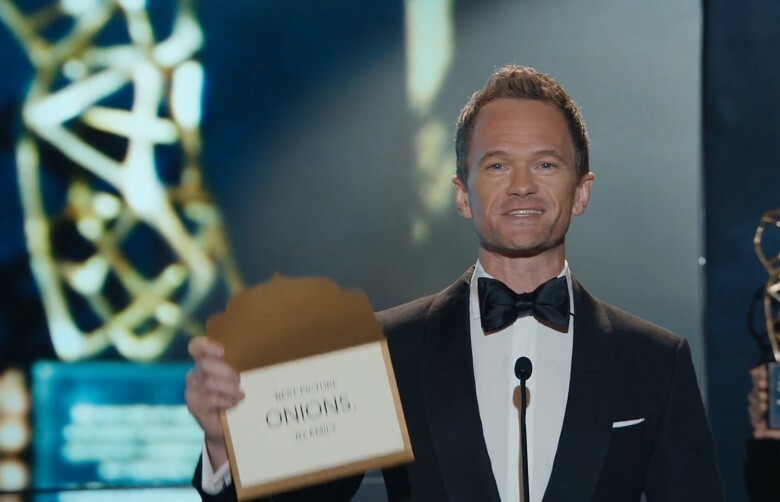 But we really can’t stay mad at Neil Patrick Harris, who shows up at the end. The first, “Fingerprint,” shows off all of the cool things Touch ID can do. Sure, it can unlock your phone, but it’s also the key to touchless, mobile purchasing through Apple Pay and smartcar apps like Volvo on Call. The second of the iPhone 6s ads, “Onions,” is, you know. Different. A simple video of a girl’s mom chopping onions becomes a cultural sensation because it just looks so damned pretty in its 4K-ness. It’s cute, if a bit ridiculous, and we much prefer our silly iPhone 6s ads to come with Muppets. Still, it’s an effective way to show off the 6s’ awesome camera, which was one of the major upgrades in this version. These new spots arrive a day before Apple’s next earnings call, at which we expect to hear some underwhelming news about the iPhone’s sales performance. In fact, reports have the handset’s numbers declining for the first time ever.